It started on Monday with a horrific explosion in a major urban center and ended on Friday in the almost surrealistic quiet of a backyard in a residential neighborhood, but the events that occurred between the two will mark a week that will not soon be forgotten, if such a thing ever could be. 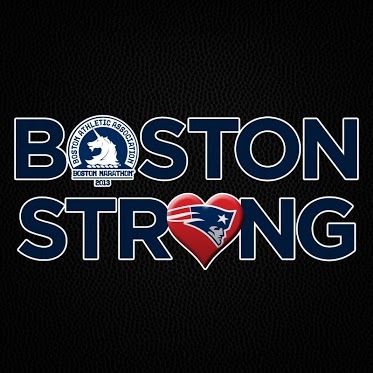 The tragic events that took place this week in Boston and Texas have given me a lot to think about and as these events unfolded, I like many others experienced a range of feelings that have alternately included shock, anger, sadness, disbelief and even some indifference. The most recent act of savage brutality to be unleashed on innocent people has touched a lot of lives, hardened our resolve, brought questions to our mind about our safety and made us wonder what kind of world we now find ourselves in. It wasn’t just the bombing in Boston either but the whole string of life-changing events this week that has shown us the world we live in and which makes us ask these questions. The bombing wasn’t even off the front page before it was followed by news of Ricin poisoning attempts and then before that could even unfold, along came Wednesday with what may be one of the largest explosions ever to occur in our country at a fertilizer plant in Texas. Images of entire neighborhoods leveled, buildings with roofs blown off and news of dead firefighters and first responders coming in faster than you could count. A tornado in all its violence nearly seemed tame compared to the instantaneous destruction and death unleashed in only a matter of seconds. The New York Times could barely keep up all that was happening. As I write this, I look out at a beautiful blue sky on a quiet spring day, many miles removed from Boston, Washington DC or Texas, a scene almost idyllic and pastoral, in total opposition to the scenes that came out of those cities. On such a day, it hardly seems real that evil still lurks when we least expect it and that faulty safety measures can mean the difference between a normal town and one that looks like an atomic bomb has gone off. My thoughts go back to the two young men, one now dead and the other in critical condition, that for reasons I will never understand decided to take their hatred and insecurities out on innocent people and in doing so, brought down the wrath of society on them in a manhunt that gripped the nation for an entire day. They were very effective in what they set out to do. They maimed and crippled. They killed people, and this time one of them was an eight year old child, the same age as my own son. Yes, that does indeed hit very close to home. 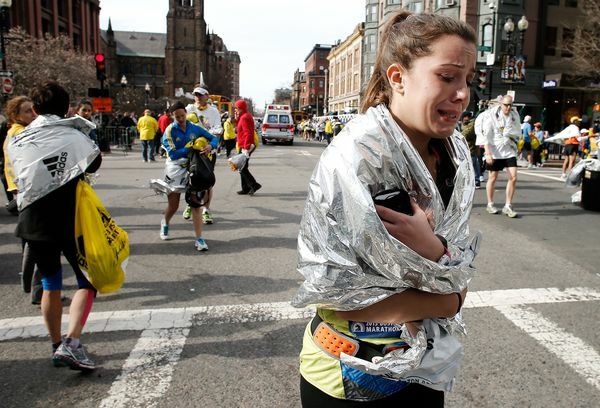 With so many running in the Boston Marathon, it was inevitable that it would touch lives all over the country. I have both a cousin and a friend who lives in the area. I also knew someone who ran in the marathon, the father of three more of my cousins who finished the race only minutes before the bomb blasts and was mercifully spared but in his case, those minutes could have been the difference between life and death. So it turns out that it is unlikely the attack was related to one of the mainstream terrorist cells currently pursued by our government but as we search for answers, we wonder more and more who our enemies are. Right now, I’m still angry about it and while the news and legal community wants to argue about the rights of the sole surviving terrorist, most of us just want to see closure with justice distributed in a manner befitting their actions. As far as I’m concerned, terrorists don’t have the same rights because they have crossed a line that goes much further than a random criminal act. They deprived hundreds of their rights….the right to a normal life, the right to life itself and for so many others, the right to feel relatively safe in the towns they live in. Every time one of these people, regardless of what gene pool they originated from, commits an act of unspeakable violence, it’s like the pebble thrown in a lake and the effects of their actions are like the ripples that spread out upon the water, growing larger and larger until they touch everything in their path. Look at how these events have changed us as a society. For starters, we worry now, even though the likelihood of being killed in a terrorist attack is less probable than getting killed by a teenager driving an automobile while texting. Globally, terrorism generally claims about the same number of people who drown in a bathtub each year. About a thousand people a year are shot in hunting accidents and around a hundred die from them. Five hundred murders were committed in Chicago last year and about 577,000 people are estimated to die of cancer this year. The list goes on and on but I, like most people, don’t think a lot about all the different ways we can be killed or die prematurely in the normal course of events. Some of that I can control. If I take only showers instead of baths, it is highly unlikely I will die in a bathtub. I can avoid being killed in a hunting accident by staying away from places where people hunt. If I never go to Chicago, I won’t be killed in Chicago but I could just as easily be killed in Jenkinsburg Georgia by a lunatic with a gun. I worry a lot more about cancer than I do any of the others because it has taken members of my family and because people I care about now are fighting it. Since the September 11, 2001 terrorist attacks, Americans worry about another such event taking place but statistically, if one of those events were to occur every quarter for the next five years, the chance of being killed in one is 0.02 percent according to author John Mueller. We stand a greater chance of being killed by a stray comet than by a terrorist attack but we worry a lot more about the former than we ever do the latter because human beings are behind them. Our worry over something that is statistically very unlikely to occur again has changed us dramatically as a society and I wonder sometimes if our pre-9/11 selves would even recognize us today. To be sure, the tragic events of September 11, 2001 constituted by far the most destructive act of terrorism that has ever been unleashed on our society, resulting in the deaths of nearly 3000 people, many of whom were rescuers attempting to save those that we now know could not have been saved but that one singular event caused a huge ripple on the pond that is America. The economic costs of our reaction to those events have been considerably greater than any the terrorists may have inflicted upon us. Just as an example, a good many more than 3000 Americans have died since then because their fears persuaded them to drive in cars rather than travel by plane and then there is the number of service members killed because they were pulled into wars that resulted from these events. This is not the world I grew up in. My generation and my parent’s generation worried mostly about Russia and the ever-present threat of nuclear war obliterating everything and everyone I ever cared about. I felt secure in what my parents always told me though…that we had the same power to destroy them and thus, nuclear war was very unlikely to happen. Our stick was as big as there stick was. We had the comfort of “Mutually Assured Destruction” that made us feel safer and we went on with life and enjoyed it. The Berlin wall came down, the Soviet Union crumbled and we began to find more common ground with the people over there, easing things a bit more. Life carried on and then one day in September of 2001, the rules all changed and the world was a different place. We all are reminded of it every time we go to the airport to fly somewhere and have to endure the security checks in place. Flying once was something I looked forward to; now it is the equivalent of a root canal in my mind. We are reminded of it when we visit our nation’s Capital and see armed guards carrying assault rifles standing on the parapets of the Capitol building. Metal detectors and body scanners have become a way of life. Fear has driven us to extreme measures to protect ourselves from people we don’t know who are driven to kill us it seems. The sad thing is that we have funneled so much money towards keeping the terrorists at bay that we have underfunded many of the programs that help to keep us safe from things that are much more likely to occur such as exploding fertilizer plants with chemicals that can do more damage and cause more death than most terrorists could hope to do. By allowing the disregarding of safeguards and the failure to enforce safety measures in factories, plants, consumer products, transportation industries and more, we open ourselves up to greater risks more likely to occur than a terrorist attack. This is the state we find our country to be in, only twelve years into the new millennia and the sad thing is that some in our society refer to this as “the new normal” and expect us to accept that this is the life we are given and we must make the best of it. I strongly disagree with that statement. Just this morning, my pastor reminded us in church that we cannot allow ourselves to become indifferent to the tragedies that test us and I do agree with that statement. Indifference is a form of acceptance and if we choose to be indifferent to the things that we face, if we choose to accept them as the new normal, then we lose the very thing that defines us as Americans. If we choose to accept the fate that is given to us and not to struggle against those who would decide our fate for us, as our ancestors did, we don’t deserve to be Americans. One thing gives me hope though and that is the unyielding strength of the American people and the resilience and resourcefulness that has defined us as a nation for 236 years. More and more, we are put to the test by an event or events which challenge the courage and strength of our people. Whether that test comes in the form of terrorism or tornadoes, plant explosions or school shootings, it is our unique blend of strengths, heritage, courage, spirit and the desire to chart our own course that is the example we should show to the world.